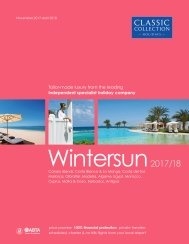 In an enviable location right on the beachfront of Playa d'en Bossa, stylish Grand Palladium Palace Ibiza Resort & Spa is a mere five minutes from shops and restaurants and 1km from the resort centre. Located right on the beachfront in Playa d’en Bossa, Grand Palladium White Island Resort & Spa is a brand new five star hotel offering an excellent range of leisure facilities and dining choices. 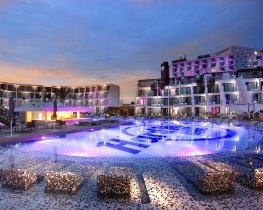 Right on the seafront in Playa d'en Bossa, Hard Rock Hotel Ibiza is Europe's first Hard Rock beach hotel featuring the brand's legendary music-inspired style and energy together with Ibiza's Mediterranean ambiance. 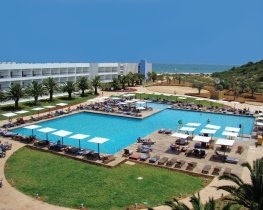 Ushuaia Ibiza Beach Hotel captures everything of contemporary Ibiza. 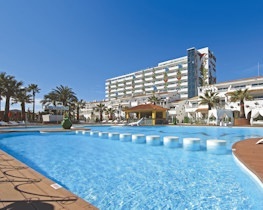 The stylish Hotel Torre del Mar offers a comfortable stay in chic surroundings.